Its a lifer! Second one for the California leg of the trip with the first being a rufous-capped sparrow in Silverado. I was very happy to see my target bird marching down the shoreline towards me on low tide hunting the beach for whatever it was hunting for. He spent a little time under the boardwalk but quickly emerged and headed west in to the vegetation, not to be seen again that afternoon. 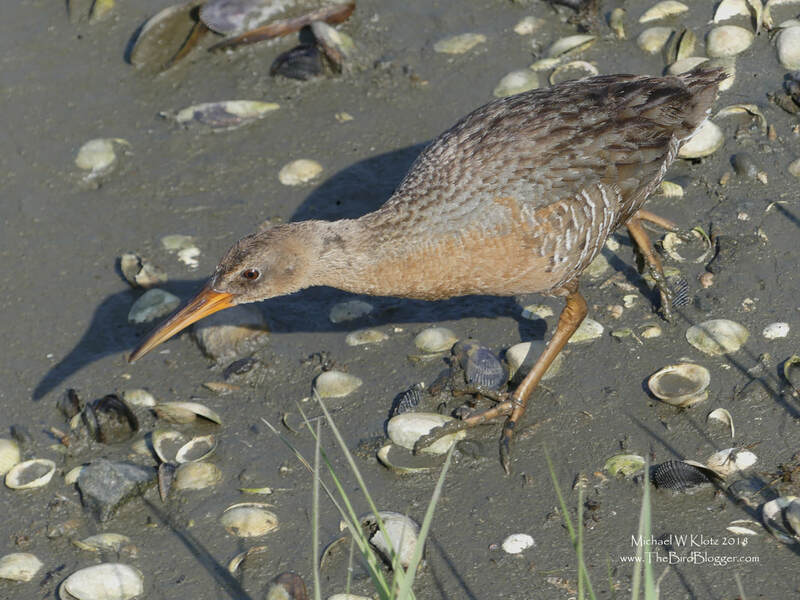 This species used to be lumped into the same species as the Clapper Rail but the Ridgway's Rail and Mangrove Rail were split off in 2013.